Who doesn’t love a great adventure or attraction? That’s what awaits anyone who comes to southern Utah to see the world-famous views of Zion National Park. From the top of Angel’s Landing to hiking The Narrows, to ascending Observation Point, there’s a part of Zion for everyone. What a lot of people don’t know, however, is that there’s a lot more to do right around Zion National Park than simply hiking. When you stay at Cable Mountain Lodge – in the small, beautiful gateway town of Springdale, located right outside the south entrance of the park – you have immediate access to some of the best recreational opportunities not only in the United States, but the entire world. 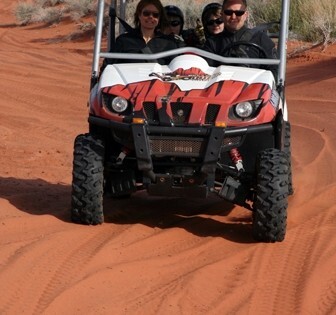 If you’re looking for ways to spruce up your next trip, while staying in hotels in Springdale, or you’ve never been to Zion and want to experience everything the area surrounding Zion has to offer – from suites in Zion National Park to ATV riding and canyoneering – then sit back and take a look at the following experiences. There should be something that piques your interest. The heart of Zion National Park is the Virgin River – a persistent river of water that’s responsible for the incredible canyons that draw millions of visitors every year. While hiking The Narrows is one of the best ways to get up-close and personal with the Virgin River, in the early summer months, one of the lassic Zion adventures is a tubing expedition down the river. Cable Mountain Lodge is located along the banks of the Virgin River adjacent to Zion Outfitter, the finest outfitter for tubing, biking, and hiking throughout Zion Canyon. The river’s shallow gradient and calm, meandering attitude make it a great family-friendly activity if everyone doesn’t feel like hiking, and it’s a unique way to see the river that created this world-famous national park. The people who know Zion National Park best are the rangers and park employees who’ve made the park a part of their life. These people live and breathe the history, stories, and culture that make Zion such a unique destination. Through the National Parks Service, Zion offers multiple park programs that consist of free talks at the visitor center, in addition to evening programs in the amphitheater and the Zion Lodge. Specific programs change from year to year, and the list of programs you can expect during your visit is posted on the National Parks Website. If you want to know more about Zion, the unique wildlife that call this place home, or you’re a history buff looking to brush up on the unique stories that shaped the early times of the park, these programs are a can’t-miss opportunity. Some of the world’s greatest slot canyons and canyoneering opportunities await the eager adventurer in Zion National Park. From dry canyons inside the park to the infamous wet Subway hike, Zion offers opportunities for all skills levels of canyoneering. Zion Outfitter located in Zion Canyon Village offers guided trips and gear rentals to help make your trip down a canyon something you’ll never forget. Whether it’s your first trip or your fiftieth, they’ll make sure you have a safe, memorable time exploring the canyons of Zion National Park. There is one bike trail accessible in Zion National Park – the Pa’rus trail. Beginning right at Zion Outfitter and continuing on to the top of the canyon that forms the main portion of Zion, the 7.5 miles of paved biking trail the Pa’rus offers is an experience second to none. The incredible views from the top of the canyon, combined with the relatively slight incline and ease of the trail make it a must-do for any biker. It’s a family-friendly activity as well, as the trail isn’t too steep. It ends in a portion of the park where, if you wish, you can leave the Pa’rus trail behind and take the main road all the way to the Temple of Sinawava – the last stop on the Zion shuttle loop trip. Traffic on the main road is minimal, as shuttles are the only vehicles allowed. They also provide great transportation if you or your family prefers a one-way bike trip. Zion National Park offers so many options it’s easy to feel overwhelmed – especially on your first visit. If you want to get the most out of your time at the park, guided hikes are a great way to see the best of Zion. From the Emerald Pools to the Narrows, and Angel’s Landing if you’re not scared of heights, guided hikes are one of the more popular options for exploring Zion in a limited amount of time. 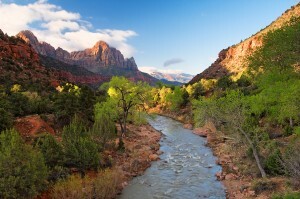 Zion National Park is a place that any outdoor enthusiast should visit. With all the accommodations – like our hotel suites in Springdale – various activities, and unbeatable scenery, it’s easy to see why Zion draws visitors from the world over. If you are interested in these experiences near Cable Mountain Lodge, please visit the links below for more information. Book your suite with us now!